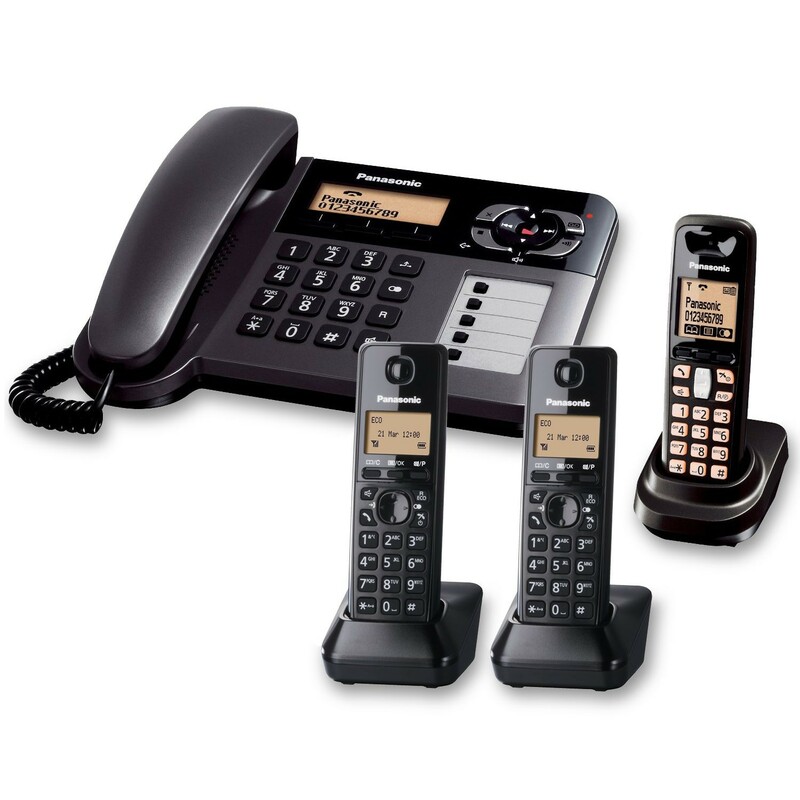 An outstanding dual-purpose landline telephone, the Panasonic 6464 features a base station with a corded phone and answering machine and three cordless DECT handsets providing the convenience of hands-free communication and wireless freedom. The Panasonic 6464 handsets come with integrated speakerphones affording hands-free communication, and you can access your contacts from either the handsets or the base station rather than having to copy them over manually. The address book provides space for 100 contacts, and you can choose from 15 polyphonic ringtones, and you can also have up to five cordless handsets in total registered to the base station. Stylish and user-friendly, both the base station and the handsets also feature backlit amber screens for easily cycling through your contacts. Thanks to support for the Caller ID service available from most landline providers, you can block incoming calls from specific numbers using the Panasonic 6464. You can list up to thirty numbers that you don't want to hear from, and the phone will automatically silence them. The Panasonic 6464 system is most suitable for larger households seeking the convenience of a hybrid telephone system with call barring. It works, But not as good as my old Panasonic phone, shame. Ligo purchasing experience was positive especially with email updates and electronic courier tracking, as it took a bit of time (approx 3 weeks) to receive this new phone model. Very much relieved the anxiety about the 'black hole' effect of online ordering. Definitely would use this company again.